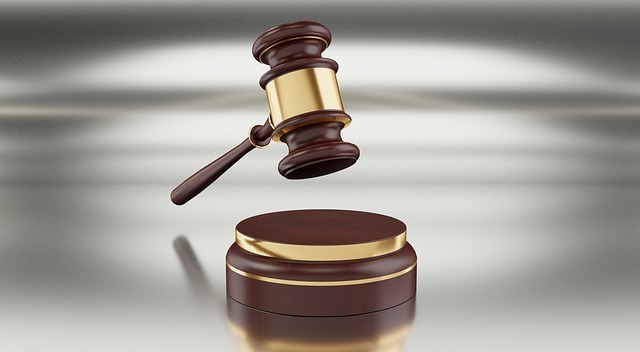 Subject Matter Jurisdiction and Personal Jurisdiction — TREVINO LAW, INC.
A court can only make orders in a particular case if it has been given the authority to make the order, power over the subject matter of the order, power over the person against whom the order is made. A court may only make orders if it has been given authority by the legistlature to make orders in that particular type of case. For instance, a bankruptcy court cannot order a dissolution of marriage, a family court does not probate an estate, and a small claims court cannot adjudicate a personal injury case. The legislature gives different courts the ability to act in different situations so that the court has the authority to make orders in that particular area of law. Without that authority the court lacks the subject matter jurisdiction to make an order. Subject matter jurisdiction for family law proceedings is with the Superior Court through Family Code Section 200 and includes most of the issues that a divorcing couple would face in a family law situation such as support, custody, and property division. The parties to a divorce proceeding cannot agree to limit or expand the court's authority. In other words, they cannot by agreement divest the court with the authority to grant a dissolution. In addition, they cannot agree that another type of court will hear their divorce case. In rem jurisdiction is the authority a California court has over a particular item which is the subject of the lawsuit. A family law case is an in rem proceeding, because the res or the thing is the marriage. In rem jurisdiction can be waived by the parties. The parties can agree in writing to waive in rem jurisdiction allowing a court to make a ruling over property. As long as at least one party lives in California and there is a valid marriage, the state has in rem jurisdiction over the marriage and can make orders affecting the marriage status of the parties. In rem jurisdiction only allows the family court to make orders affecting the marital status. In order to make orders that affect support and other divorce issues, the court must have personal jurisdiction over both parties. An Orange County court can only make orders affecting an individual if the person lives in the state of California, has minimum contacts with the state of California, or is subject to one of California’s long arm statutes. Personal jurisdiction is sometimes referred to as in personam jurisdiction, Basically it means that a court only has an ability to make enforceable orders affecting people who could foresee being sued in the state. A person who lives in California can foresee being sued in California. California has jurisdiction over any individual that is domiciled or lives in the state of California. If a person does not live in California, then that person can only be sued if the individual has minimum contacts with the State of California or one of California’s long arm statues allows California to exercise jurisdiction over that individual. Minimum contacts with the forum state must be substantial, continuous, and systematic. Minimum contacts are analyzed on a case by case basis meaning that the family court will look at each case to determine if the facts are sufficient enough for the court to exercise jurisdiction. In family law cases, the court will assess what action was taken by the individual so that he or she could foresee being subject to the court’s jurisdiction over him or her. If an individual has never lived in the state of California, has little or no contact with the state, and doer not come to the State of California, he or she will not be subject to any California orders. In order to satisfy the minimum contacts with the State of California, it must be shown that the individual purposely availed himself or herself to California and the nexus of the relationship is that it is reasonable and foreseeable to be subject to a California court.